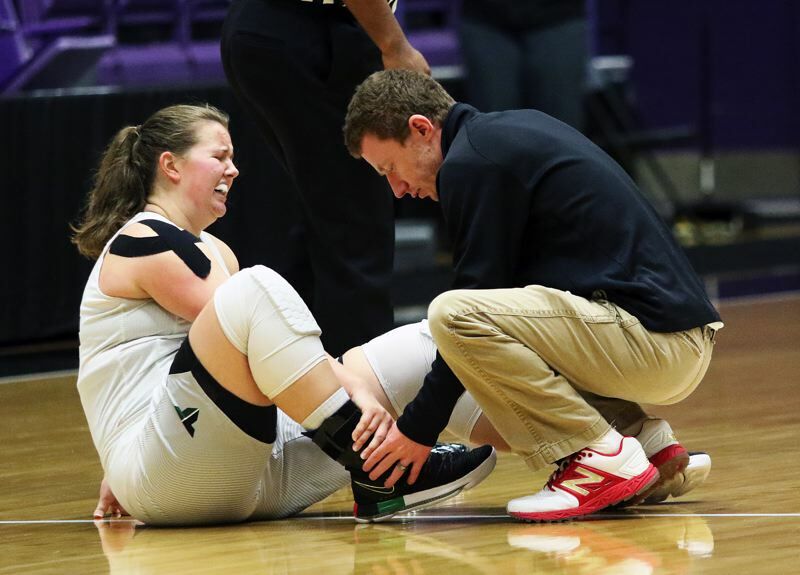 PORTLAND — It's easy to say that the Tigard High School girls basketball team was disappointed following it's Class 6A state tournament opening game. But, two and a half days later, the Tigers' sad faces were replaced by big smiles, tears of joy and a jubilant celebration. 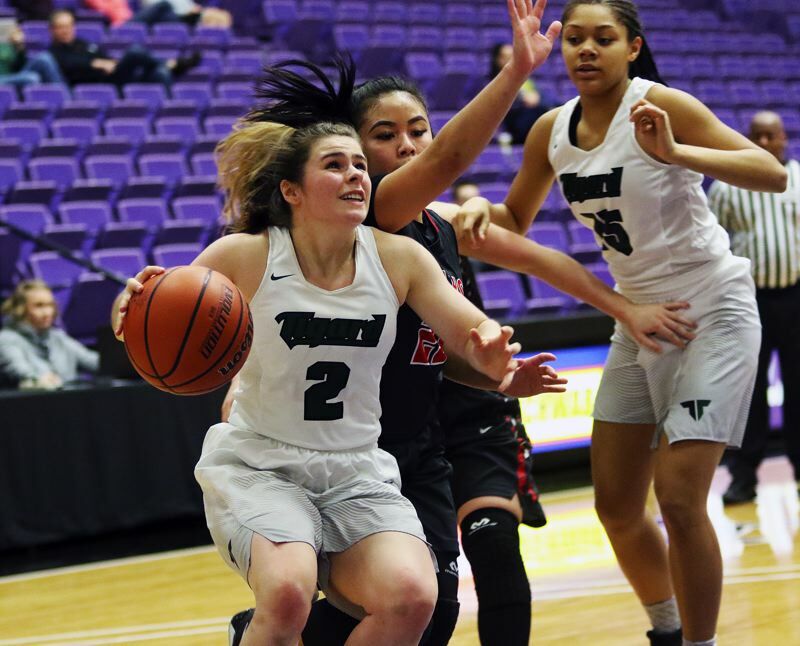 Tigard, after falling to Benson in a state tournament quarterfinal contest, bounced back in a big way, winning its next two tourney games, capping things off with an impressive 54-46 victory over Clackamas in a tournament fourth-place contest, played Saturday morning at the University of Portland's Chiles Center. 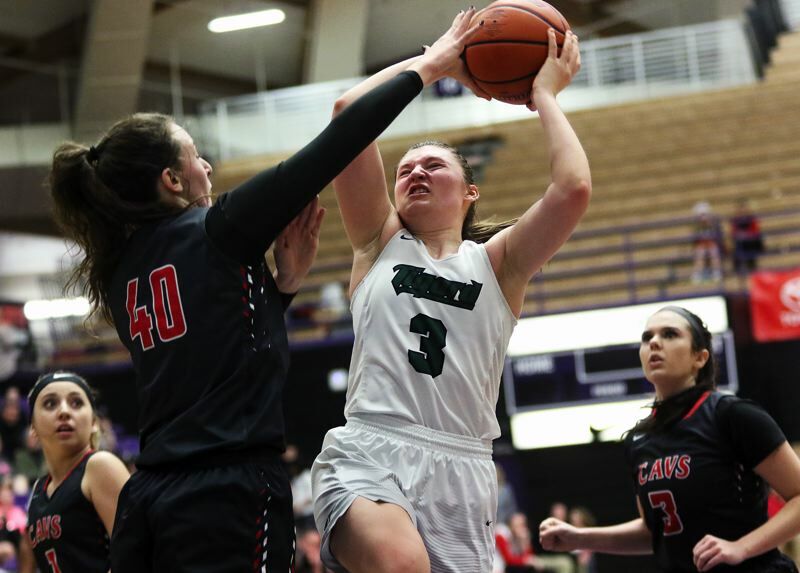 "It means so much to us," said Tigard sophomore guard Delaney Leavitt, who scored a team-high 18 points in Saturday's contest. "We really wanted to beat Clackamas, because we lost to them earlier in the season (55-44 at Clackamas, in a game played Dec. 8). We really worked hard and tried to forget about the first game and bounce back." 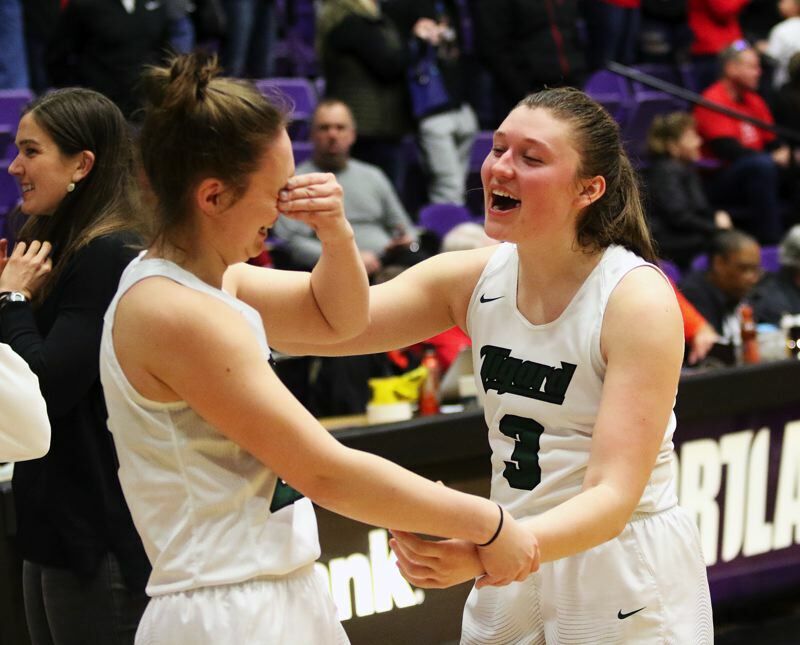 "Honestly, it's a great accomplishment," Tigard senior guard Gabby McGaughey said. "This whole year was pretty rough, the league was really hard and, coming into state, we didn't know what to expect. We wanted to come back. Wednesday was a really hard game for us, and we didn't want to just quit. We wanted to come back and get fourth place. This was our last game as a team." "That was a ton of fun," Tigard junior guard Campbell Gray said. "It was a good way to go out. 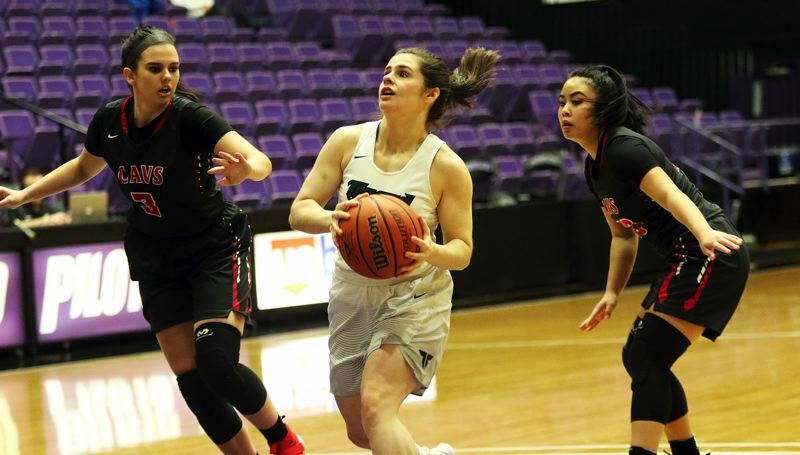 The goal when you come to the Chiles Center is to play three games, and we did that." 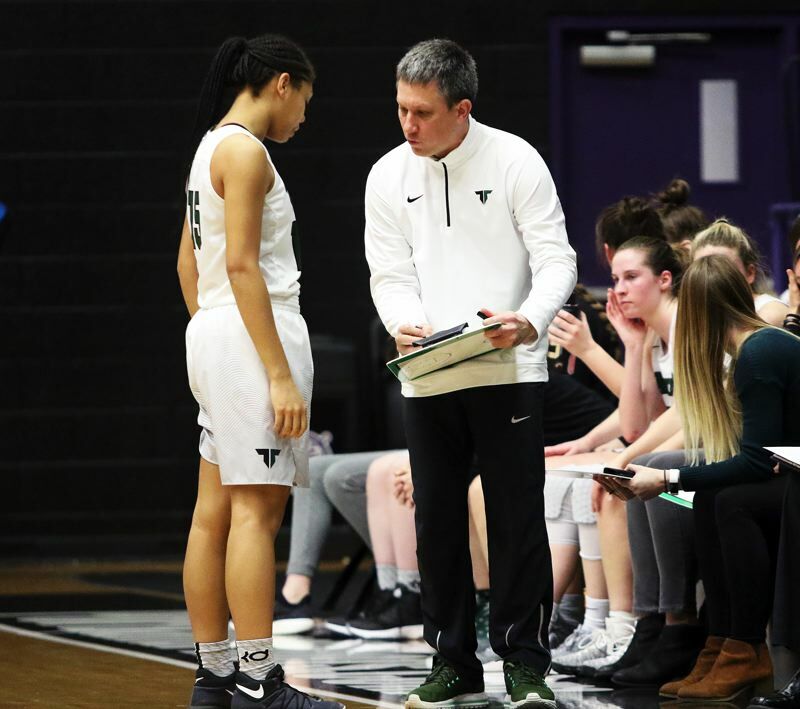 "You lose that first one, obviously you don't want to do that, but the girls showed a lot of resiliency coming back and beating Sheldon and then getting up at 6:30 (a.m.) today and coming back and getting another victory," Tigard coach Steve Naylor said. "I'm really proud of them." With the loss, Clackamas, the No. 2 team out of the Mt. Hood Conference and the No. 9 team in the final OSAA power rankings, finished the season with a final overall record of 24-5. Tigard, the Three Rivers League champion and the No. 2 team in the power rankings, ended its season with a final mark of 25-4. "This season was so much fun," Leavitt said. "It's going to be really hard to watch our seniors leave." 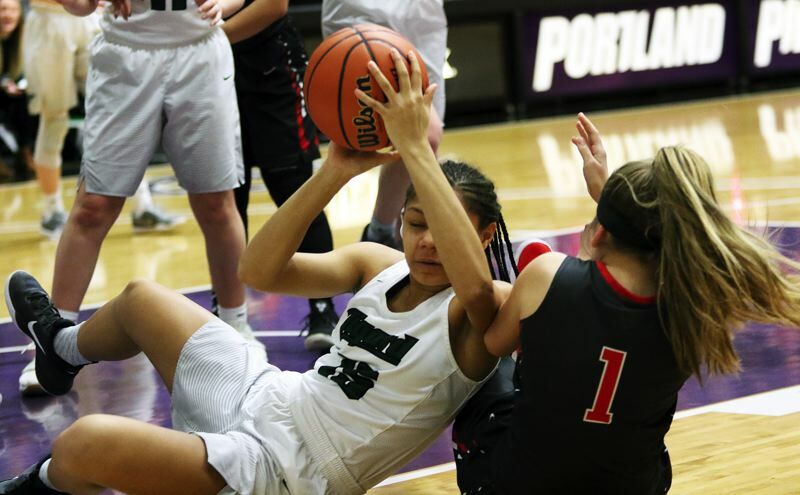 In the tourney fourth-place game, Tigard and Clackamas battled back and fourth in the opening quarter. The Tigers, getting six points from Gray and a 3-point basket by sophomore guard Kennedy Brown, of an assist from junior Paige LaFountain, trailed the Cavaliers 12-11 at the end of the opening period. Tigard then got rolling in the second quarter. Junior post Dani Lyons opened the period with a 3-pointer, off an assist from McGaughey, following an offensive rebound. Leavitt followed that with a basket on a drive to the hoop, giving the Tigers a 16-12 lead with 5 minutes and 42 seconds left to play before halftime. Tigard would lead the rest of the way. LaFountain and Lyons had baskets later in the second quarter, and Leavitt ended the period with a 3-point basket from the right corner, coming off an assist from Gray, to give the Tigers a 24-19 halftime advantage. Clackamas, getting baskets from seniors Ciara James, Savannah Duarte and Bri Phiakahmngon, sandwiched around free throws by LaFountain and Leavitt, trimmed the Tigard lead to 27-25 with 2:57 remaining in the third quarter. But the Tigers quickly halted the Cavalier rally. 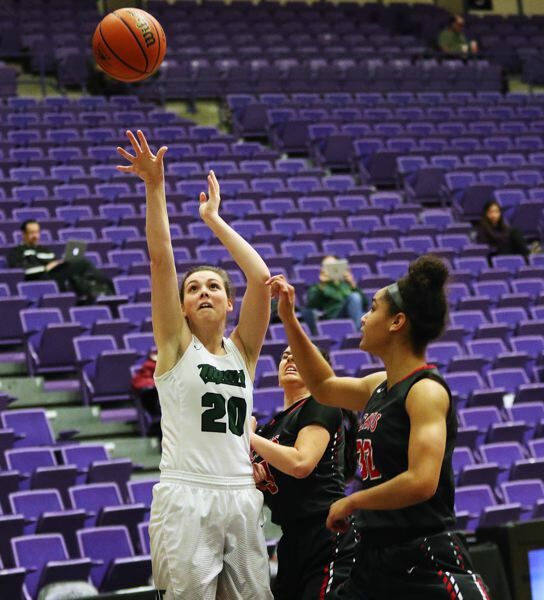 Leavitt got things going Tigard's way with another 3-pointer from the right corner off a Gray pass, pushing the margin to 30-25 with 2:37 left in the period. "Delaney — love that girl," Gray said with a smile. "Campbell made some great passes," Leavitt said. LaFountain went 2 for 2 from the free throw line with 1:22 left in the period, helping Tigard take a 32-26 lead into the fourth quarter. The Tigers really got rolling in the final stanza. Yet another Leavitt 3-pointer, off another pass from Gray, upped the margin to 36-27 with 6:20 left in the contest. Then, with the score 38-31, Tigard put the game away with a 13-0 run. Gray got the scoring spree started with basket on a drive up the lane. LaFountain and Lyons followed with a pair of free throws apiece. Leavitt converted a three-point play, McGaughey had a free throw and Gray had back-to-back baskets, the second coming after a steal, to give the Tigers the biggest lead of the game, at 52-31, with 2:22 left in the contest. Clackamas ended the contest on a 15-2 run, leaving Tigard with a 54-46 victory — and the fourth-place trophy. "We just really wanted to win for our seniors and we accomplished that," Leavitt said. "Since this was our last game we had nothing to lose. We just wanted to play our best." 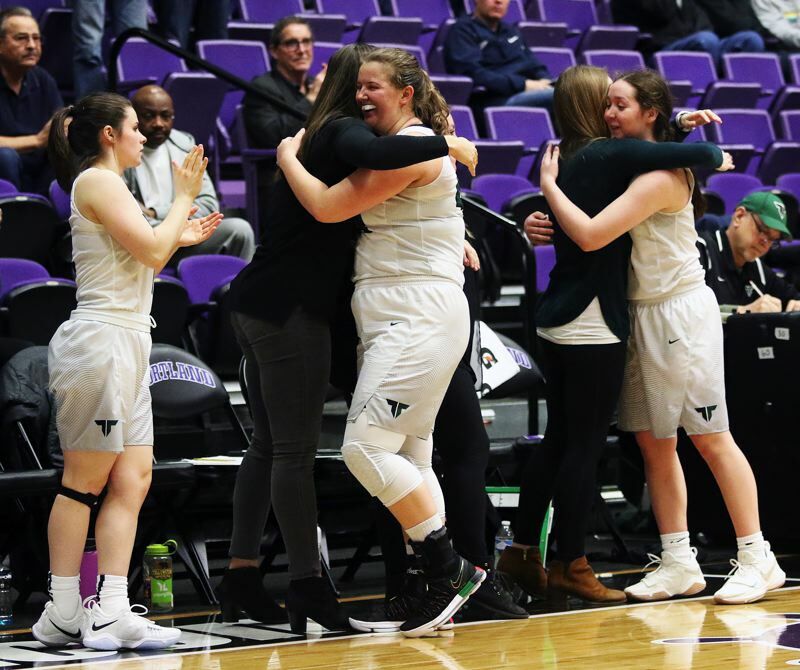 "It's absolutely a nice way to go out," said McGaughey, who appeared to be overcome with emotion as she headed to the bench late with 1:26 left to play in the contest. "It's my last game in high school, ever, so it's bittersweet. It was kind of a relief that we won, but, also, I didn't want it to end." 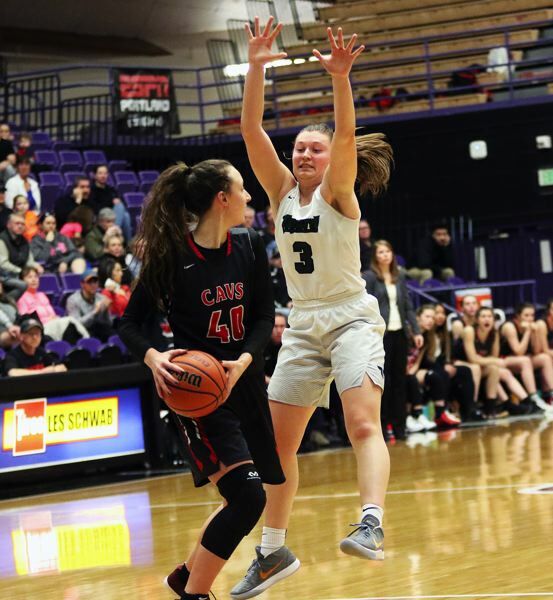 A big factor in the victory for the Tigers seemed to be their full-court pressure, featuring Brown, LaFountain, Gray and Leavitt, among others, which not only helped force 14 turnovers, but it also seemed to get Clackamas out of an offensive rhythm throughout the contest. "We just thought, with their main ball-handler hurt, pressuring them would help get the pace in our favor," Gray said. "We tried to have a lot of energy, because we thought they'd get flustered, and I think it worked," Leavitt said. 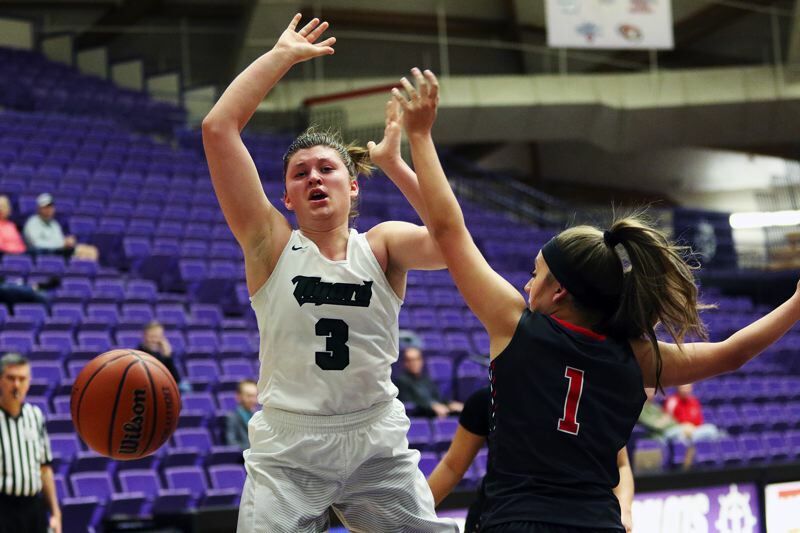 Leavitt, sinking three 3-pointers in the contest, led the way for Tigard in the fourth-place game with 18 points. Leavitt also ended up leading the entire tournament in 3-point baskets made, with eight. 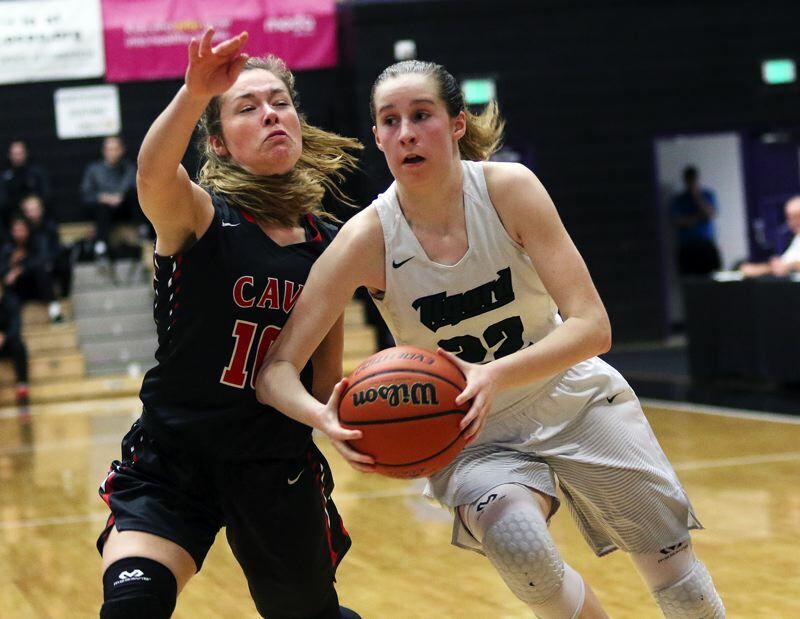 "Campbell is obviously our best player, the (Three Rivers League) Player of the Year, but consistently, in these three games, our best shooter was Delaney," Naylor said. 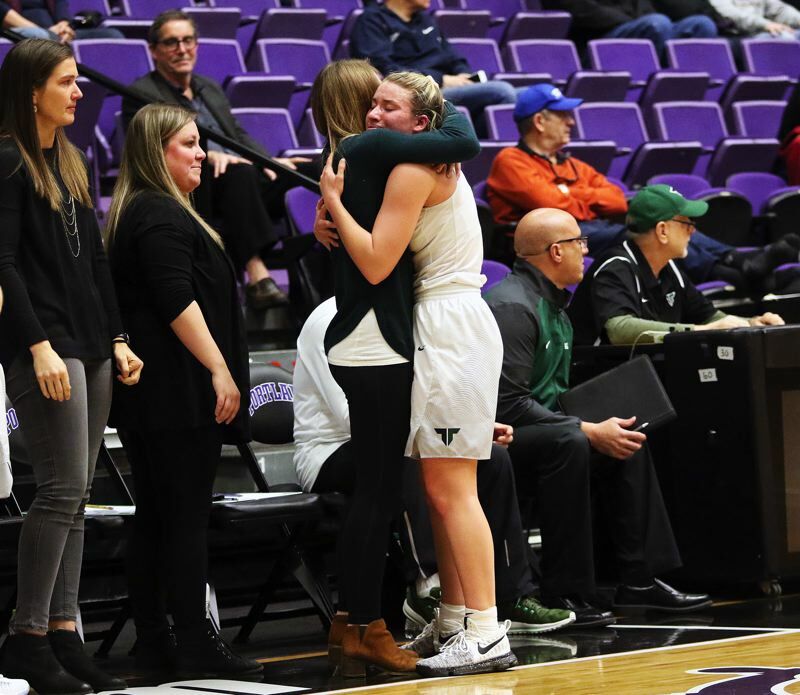 "And, she doesn't know this, but she is the best shooter I've ever coached, and I've had a lot of great shooters, and we have great shooters on this team. But she is the best. And, it's really cool to have your best shooter get hot at the end of the year." 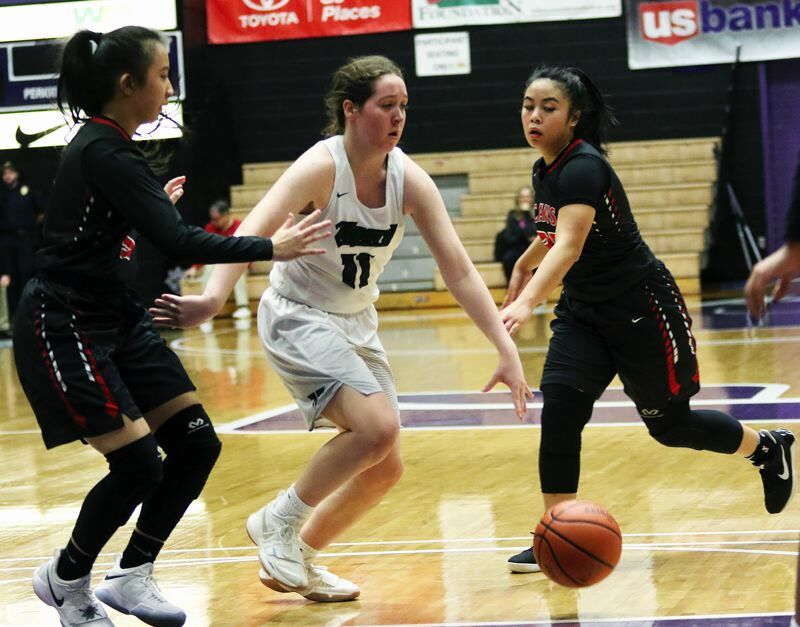 Gray, despite being the focal point of Clackamas' box-and-one defense for most of the contest, had a strong overall game, with 13 points, three rebounds, three assists and two steals. "Yeah, I've seen that before, but they did a really good job," said Gray, who was a second-team all-state-tournament selection. "It was just about getting open and finding my shot." "We didn't do anything really special, just run off a couple of screens and get her the ball and let her do the work," Naylor said. "Campbell just did a good job attacking when she needed to and passing the ball when she needed to." LaFountain, going 6 for 6 from the free-throw line, added eight points. Lyons had seven points, three rebounds and two assists. McGaughey had four points, three rebounds and a steal. Brown scored three points and senior Hannah Jedan scored one for the Tigers. 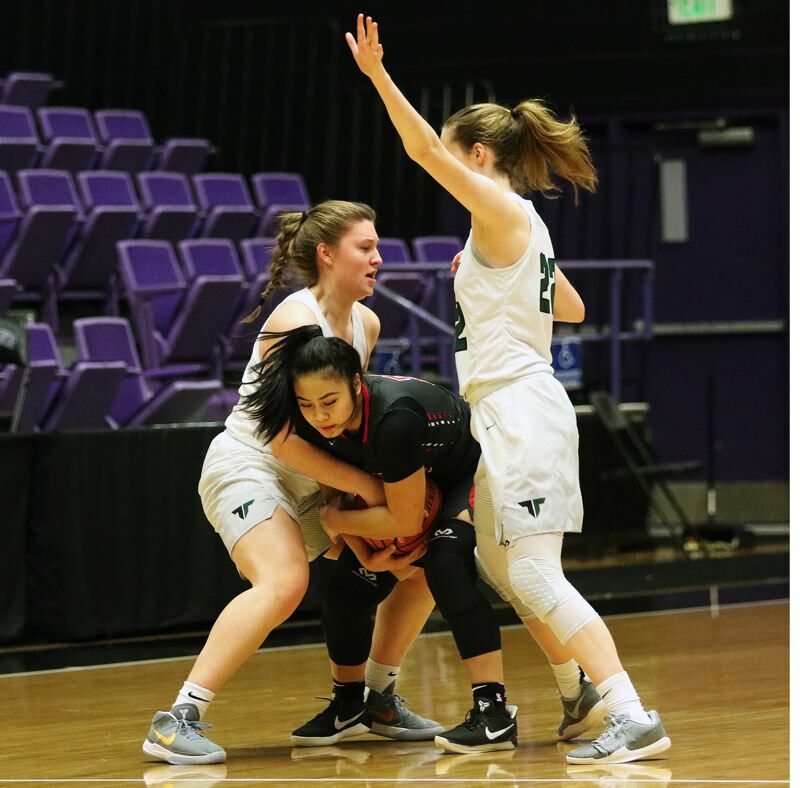 Tigard also got some key minutes from senior post Caitlin Erickson, who filled in when Lyons went down, momentarily, with an injury early in the game, grabbing three rebounds and coming up with a pair of steals. 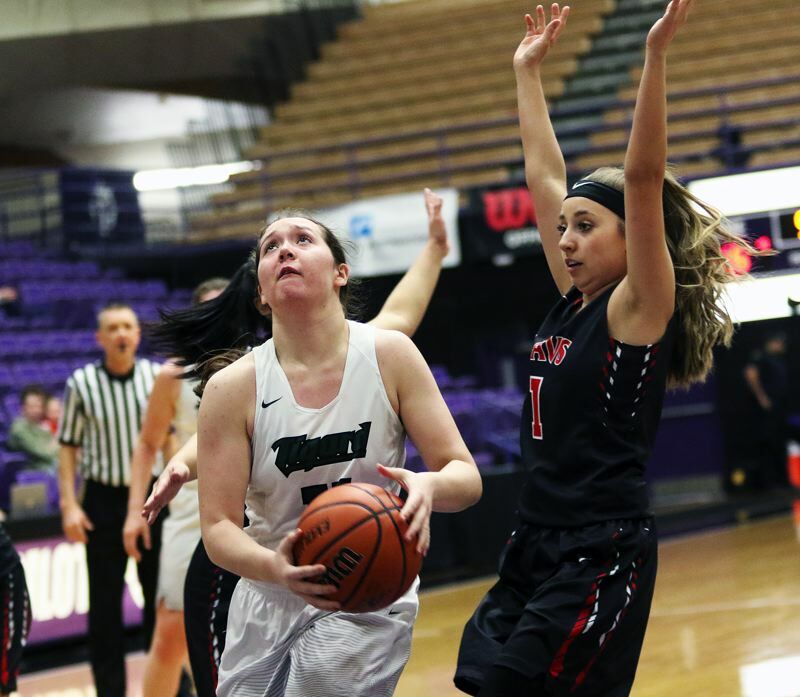 Tigard, as a team, made 16 of 37 shots from the field, with five 3-pointers, and 17 of 25 free-throw attempts. Phiakahmngon led all scorers in the contest with 19 points. Duarte added 11 points for the Cavaliers. 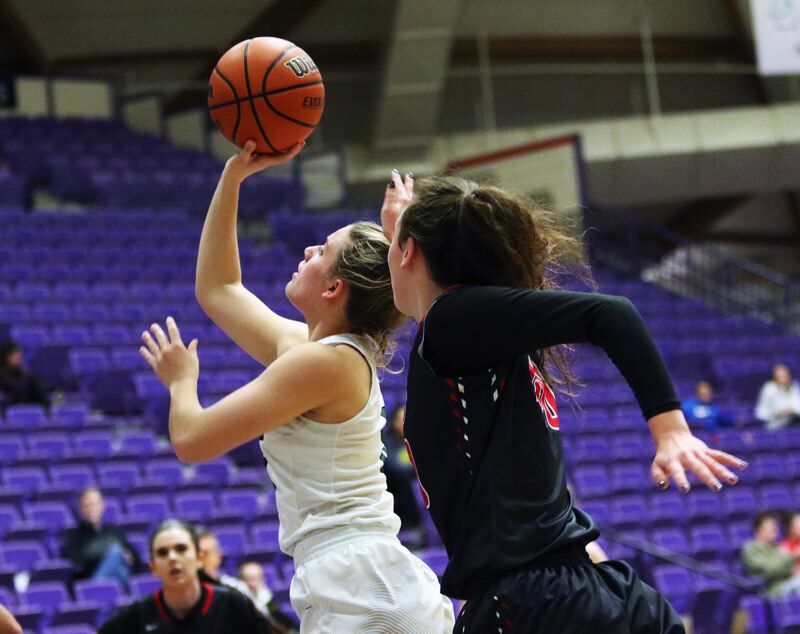 Clackamas, as a team, made 15 of 39 shots from the field, with four 3-pointers, and 12 of 18 free-throw attempts. 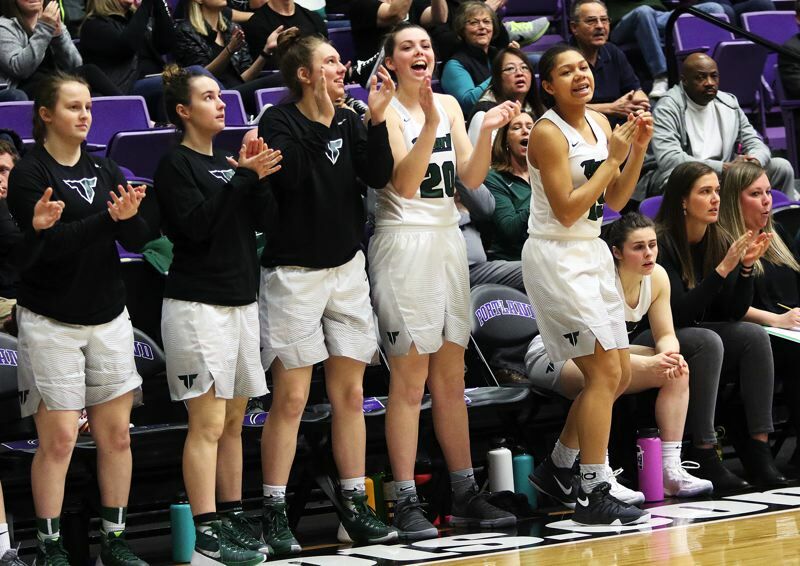 Other members of the Tigard team include senior Xandra Britch, junior Kelsie Boschma, sophomore Lexi Klum and freshmen Rachel Billings and Ajae Kadel. Jason Ashley, Mallory Goldammer, Erica Hansen and Heidi DeHaan are assistant coaches for the Tigers.